Visit these coastal and river port cities around the world sooner rather than later. 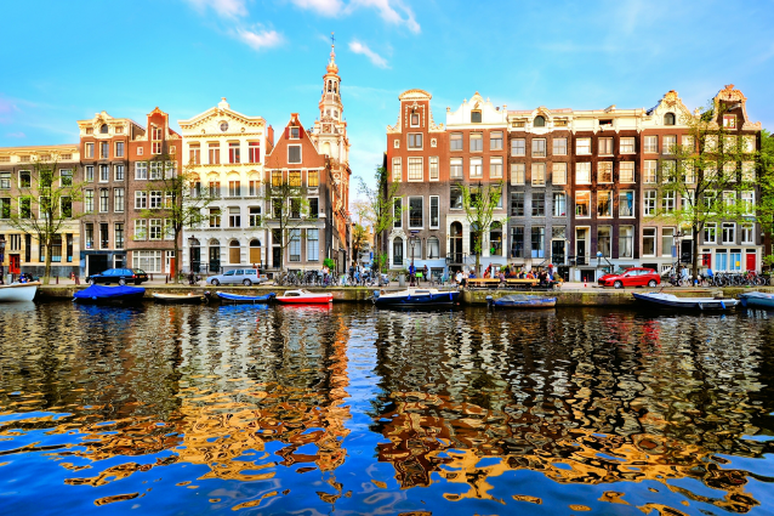 Among them are first-world cities like New York and Amsterdam. Others are in poor nations like Bangladesh. Many are in Asia. But all are exposed now more than any time in their history to rising oceans and the destructive fury of 100-year storms. Sea levels are higher than they have been for 6,000 years. Warmer oceans are expanding the volume of their water while melting ice sheets and glaciers are adding to it. New research that says the world hasn’t experienced anything like this since at least before 4,000 BC, before the dawn of the Bronze Age. The world's estimated population then was less than the number of people who live in San Francisco's Bay Area today. Coastal cities and delta river ports around the world now house hundreds of millions of people. They are exposed to related threats: rising sea levels and more extreme storms that are resulting from climate change. Two recent devastating examples of the latter that were close to home for Americans: Hurricane Katrina, which inundated New Orleans in 2005; and Hurricane Sandy, which slammed into the north-east coast in 2012. They were the two costliest hurricanes in U.S. history. Sea levels have risen by two-thirds of a foot over the past century. That doesn’t sound much, but it is rapid by historical standards. Scientists say sea levels are likely to be up to three feet higher by the end of this century. That alone would be sufficient to inundate hundreds of coastal and estuary cities. Few if any cities have the coastal defenses to cope with rising water levels combined with sea surges caused by ever more frequently occurring one-hundred-year storms. Meanwhile industrialization, urbanization and population growth are draining water tables and wetlands. Delta cities like Shanghai, Ho Chi Minh City and New Orleans are subsiding. The lower a city sinks, the more susceptible it is to floods and high winds that are becoming more frequent and severe. We have put together a list of 16 big cities around the world that have the most people and property in peril. We have ordered them in the accompanying slide show on the basis of the balance of those two factors as they are now and as they may be in the future. The data for the future predictions comes from the OECD. Our list is not, per se, a ranking of the most vulnerable cities. Consider them joint number ones in a set of more than 130 port cities with populations of more than 1 million people. They will not disappear Atlantis-like anytime soon, but floods could damage great swathes of them to the point that residents abandon some areas. That happened to pockets of New Orleans after Katrina and the New Jersey coast after Sandy. China’s Guangzhou and Egypt’s Alexandria are in a similar position to New Orleans in having large areas at or below sea level that would need to be pumped dry after a catastrophic flood. Other cities particularly in peril are the laggards in undertaking adequate flood defenses, both hard infrastructure like flood barriers and soft defenses through better land planning. Yes, New York City, we are looking at you. London built its flood barrier in the early 1980s to prevent the U.K. capital from being inundated by high tides and storm surges racing up the Thames estuary from the North Sea. Just such a combination of events in 1953 prompted its construction. Acre after low-lying acre of London, the east coast of England and Scotland and the coasts of Holland and Belgium became an extension of the North Sea with the loss of thousands of lives. 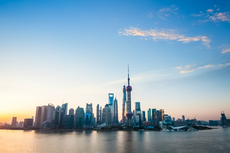 Shanghai, which is much poorer than New York, has coastal defenses that, like those of London and Toyko, are intended to be sufficient to withstand a one-in-one-thousand-years flood. Amsterdam and Rotterdam have one-in-ten-thousand-years defenses — that part of the world is called the Low Countries for a reason. New York’s coastal defences are at one-in-a-hundred-years levels, lower even than those of pre-Katrina New Orleans. Five of the cities on our list, New York, Tokyo, Shanghai, Bangkok and Amsterdam also appear on Mastercard's list of the world's top 20 destination cities. All are great tourist cities. Visit while you still can without getting your feet wet. The port city for Vietnam’s capital Hanoi faces directly onto the Gulf of Tonkin at the mouth of the Cam River and storm surges or rises in sea levels of 6 feet would inundate much of the the river’s wide estuary and the coasts to the south. As many as 4.7 million people and $334 billion of assets could be at risk if water levels rise by just 2 feet by 2070. The capital of Bangladesh is one of the world’s most densely populated cities and sits in the heart of the Ganges delta on the eastern bank of the Buriganga River. Flat and close to sea level it is already prone to monsoon flooding and cyclones. As many as 11 million people and $540 billion of assets could be at risk if water levels rise by just 2 feet by 2070. Click here to see the other 14 cities in the slideshow.